Nobody embodied the anti-hero definition quite like Mr. Anthony John Soprano, Sr. He was a criminal in every single way. He stole, he embezzled, he bribed, and he murdered. And yet, for 86 episodes, we all pulled for him. We didn’t want him to get caught. We visually baptized ourselves with crimes that would horrify us if we witnessed them outside of television. 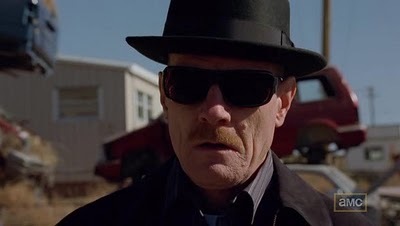 The appeal of Walter White is not dissimilar from Tony Soprano’s appeal. We enjoy his character as much as we do because they’ve both been humanized via their motivations. They seek the same things most people seek- security for their family. In Walter White’s case, there’s the added layer of his struggle with cancer. Not only is he a father trying to provide for his family; he’s a man with a short time frame to take care of his family. People are capable of anything when faced with death, a fact that serves as the catalyst in Breaking Bad‘s chemical reaction. Speaking of a show with a unique appeal, Dexter resonates because of who it is that he goes after. Specifically, rapists, murderers, and child molesters find themselves at the wrong end of his scalpel. His heart is pure vigilante. In the cost-benefit analysis, the fact that he’s performing some incredibly grisly acts is far outweighed by the nefarious nature of the criminals that he’s removing from society. He’s the medieval executioner, performing the duty that society deemed necessary, but we have removed the black hood. There is one major similarity between Omar Little and Dexter Morgan- the people they victimize. Well, that, plus the fact that their portrayers both played gay guys on HBO shows, but I digress. Omar is the Robin Hood of Baltimore’s mean streets. He targets criminals, just like Dexter. He targets drug traffickers and murderous gangsters. More importantly in the case of Omar, the writers gave him a really brilliant brand. He was marketable and recognizable as an anti-hero. When you saw a hooded figure with a barely noticeable scar, toting a shotgun and whistling “The Farmer in the Dell”, you instantly knew that someone was going to get got. Indeed. As a period piece, Mad Men allows Don Draper to tap into something we all fear these days- the mistakes of the past. He chain smokes everywhere he’s allowed. He drinks himself into oblivion and drives without a second thought. He litters in Central Park. As an added bonus, his philandering is borderline legendary. But he’s such a damned cool guy. Every guy on earth wants to be him and every woman wants to be with him. Just because his behavior is funny doesn’t mean he can’t be an anti-hero. L.D. behaves in ridiculous ways. His wife is about to go down in flames on a plane, and he implores her to call back so he can deal with the TV repairman. He steals doll heads from little girls. He hatches a nefarious plot to get his girlfriend, who has cancer, to dump him. It’s some of the funniest stuff you’ll find on TV, but he’s as anti-hero as anti-hero gets. It works so well because many of these situations are relatable. 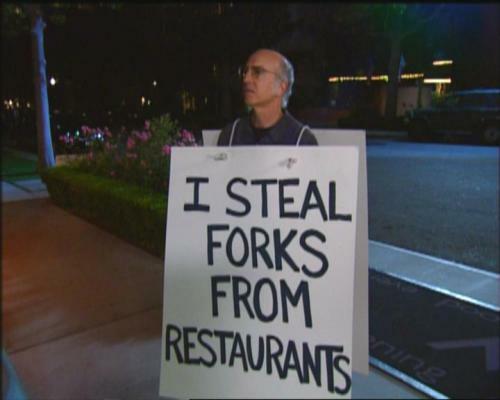 We’ve all been in Larry’s shoes at one time or another, faced with some sort of humorous, socially awkward dilemma. What makes it work is we try to not find out what would happen if we made the wrong choice, but Larry allows us to see the results of the path not taken. Speaking of comedic anti-heroes, Bunker was one of the best. His tone captured attitudes that were very present, but also very much becoming inappropriate during his times. He said some outrageously wrong things at a time when it was just starting to become taboo to say them. Few anti-heroes had their pulse on society- on what would make people stand up and take notice- the way Archie Bunker did. Good list. I find it interesting that 6/7 of your picks were from cable shows, five current and one just recently wrapped. While I certainly appreciate all the shows on this list, it does make cable seem a trifle one-note now that I think about it. Surely there’s room on today’s great shows for characters we can root for without reservations. I think part of it is simply that TV wasn’t as bold 30 and 40 years ago. You had medical drama heroes, cop show heroes, sitcoms… You didn’t see many anti-heroes then. Or if you did, I’m certainly not thinking of them. My age might have something to do with it, too- I’m 34, so the bulk of the better shows I’ve seen have been over the last 20 years. Also, and this is a bias on my part, but I don’t really watch a lot of network shows. The few that I do watch are The Simpsons, Family Guy… lighter fare. In short, my list is bent towards my own tastes. I think it’s funny that Rome and Carnivale- two shows that really didn’t have a traditional anti-hero- only lasted a few years. Here are a few I like. John Becker, I love his sarcasm. Gregory House…Talk about a dichotomy, you hate him as he saves your life! Also Charlie on two and a half men, for the oversexed pig we wish we were all a little more like. “House” is one I saw popping up on a ton of other people’s lists, as I found out that I am apparently the last blogger to talk about anti-heroes. I think Doogie Howser’s character on that one show, where he’s a snarky jerk, also shows up from time to time.